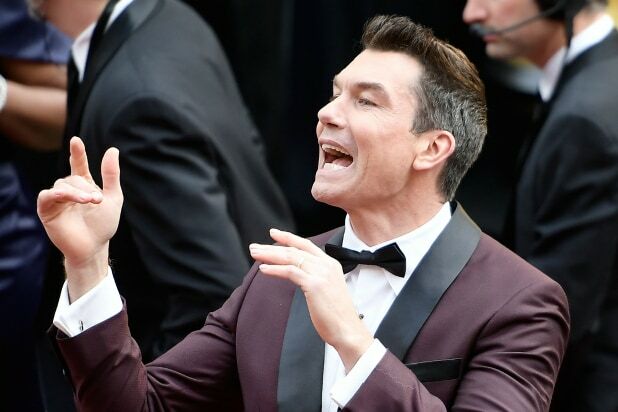 Jerry O'Connell attends the 89th Annual Academy Awards at Hollywood & Highland Center on February 26, 2017 in Hollywood, California. “Carter,” a light-hearted detective procedural starring Jerry O’Connell as a former actor who played a detective on TV, has been picked up to air in Canada on Bravo, the specialty channel owned by Bell Media (not to be confused with the American cable channel owned by NBCUniversal). “Carter” follows O’Connell’s character, Harley Carter, as somebody who goes back to his small Canadian hometown after a public meltdown. However, everybody back home mistakes him as the detective he played on TV. While he knows he’s not a real detective, he can’t seem to stop picking up cases. This isn’t accepted well by Carter’s childhood best friend Sam St. Clair, played by Sydney Tamiia Poitier, who is an overworked detective herself. This all leads up to the one big case in Carter’s life — the mystery of his mother’s disappearance. Bell Media, which is producing the series along with Amaze Film + Television, also announced a supporting case, which includes Kristian Bruun (“Orphan Black”), Sherry Miller (“The Virgin Suicides”), and John Bourgeois (“X-Men: Apocalypse”). Executive producing are Amaze Film + Television’s Teza Lawrence and Michael Souther and producing is Victoria Hirst. “Carter” is set to premiere on Bravo in Canada in early 2018. Since it’s a Canadian production, it will then join Canada’s CraveTV streaming service. In honor of Rob Reiner's 1986 coming of age classic "Stand By Me," lead actors Wil Wheaton, Corey Feldman and Jerry O'Connell reminisced with TheWrap during a set of recent interviews. Now all in their 40s, they shared funny and heartfelt memories about the 30-year-old film and paid tribute to their co-star, the late River Phoenix. 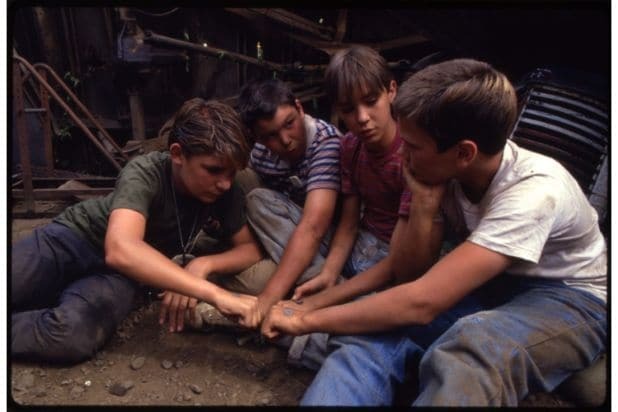 Click on to absorb our recent discussion with the three remaining lead actors in "Stand by Me." "Rob Reiner put the four of us together for two weeks before production began, having us go through a lot of improv exercises," Wheaton told TheWrap. "It helped us get comfortable with each other within the context of actors. Once we were on set, more often than not Rob didn't really nudge us in one direction or another. Part of the genius of the movie is that he cast boys who were in essence the very characters they portrayed. We were just existing naturally and reacting and relating to dialogue as we would normally, trusting our instincts." "My first day of filming was the fight scene at the junkyard," O'Connell recalled. "Now, since I've directed a little, I know they were doing a master shot. The first take Rob yells 'cut' and starts walking up to me. I don't have any lines in this so I was confused. He said, 'Why aren't you doing anything?' I said, 'I don't have lines, I have nothing to do. And he said, 'You're as much a part of this as the guys who have lines. If someone was fighting with you what would you do? You have to listen to everything. I need you.' To this day, whenever I'm on a set, I intently listen to everything." "I was particularly excited for this film as it was a chance for me to step outside of the typical all American kid roles I had been getting until that point in my career and do something with a bit more teeth," Feldman told TheWrap. "I got to really create a character with very specific traits. I had to create a style of speaking which felt like middle America during the '50s and a special laugh which was highlighted in the script, and of course my overall physical appearance." "This was an amazing time," Feldman said. "An especially amazing time for River and I to form a bond. We got very close, and I cared for him a great deal. We spent every minute together while off set, until halfway through filming when River's family left the hotel we had all been staying in and rented a summer home. I was sad when it was over and we didn't remain close, probably because of our mothers and the inherent competitive nature that is wedged into the relationships of children in the industry." "When River does the milk money scene -- man. It was just greatness," O'Connell told TheWrap. "It's really sad. It makes watching 'Stand by Me' for me very painful. What a loss." Added Wheaton: "I really, really liked River. I looked up to him. He was a person who you just instantly liked and you wanted him to like you back. He was kind and there was something really peaceful about him. He exuded this wisdom." Wheaton on the story his character Gordie tells by the campfire: "Lardass [pictured left] outsmarted them all. Everybody keeps underestimating him. To all the people who judge him because he's overweight, they're only seeing what's on the surface. Think about how Gordie's mind works. The story he tells is about kid who defies what everyone sees. If there's a message beyond the barf-o-rama, it may very well be as deep as that you have to look beyond the surface." Wheaton on the movie's iconic train scene: "We weren't taking it seriously and it was hot and it was hard. I don't think we fully appreciated how hard it was to start that train up and back it up. I remember Rob yelling at us that we're ruining his movie: 'If the train doesn't kill you, I will!" Oh my god, we made Rob mad. We immediately burst into tears. Rob rolled the cameras. It worked. When it was over, I just couldn't stop crying. All the adrenaline, everything was overwhelming. Rob hugged us and thanked us for our good work -- and I still couldn't stop crying." "Rob Reiner really was the best," O'Connell said. "He really got that performance out of me for that train scene. I remember him really getting performance out of me." "I remember the crew brought that doe in and they just wanted her to walk across and stop," said Wheaton. "We filmed it early in the morning -- and I'm bad at mornings. What I remember is they put some grapes on the track and she walks up, leans down and eats them. I don't remember what they did to get her attention to have her look up at me. But she was, like, 'Cool, I guess I'm going to hang out here now.' She wouldn't leave. So all these people on the set start banging things together. In the film, it is just an incredible, beautiful moment. But on the set it starts out as peaceful moment and then just got really noisy. I love that shot of Gordie. It's so sweet and relaxed." "The most enjoyable part for me, beyond the challenges it provided as a growing actor, were the off camera antics," Feldman said. "Being a kid who had essentially been locked away from society, for most of my life, this was almost like a real summer camp for me." "Up until 'The Goonies' I had always had one hair style -- the 'bowl' haircut -- which was basic and standard for child actors at that time," said Feldman. "So for 'Stand by Me' I was able to evolve my look even further with a 'step' hairstyle which was long in front and shaved on the sides with a duck tail in the back, and of course the Ray-Ban horn-rimmed glasses. The glasses were initially written as Coke Bottle glasses. In those days there was no safe way to put thick non prescription lenses in the frames without obstructing vision. However, Rob found the thickest glass usable without prescription." "I remember being really nervous about my big emotional scene in the movie [pictured left] and dreading it because there was a lot at stake," Wheaton said. "If I blew it, it could mess up the whole movie. Normally when you have a scene like that you can look at the shooting schedule and start preparing. But we were filming in Oregon in the summer and that scene takes place at beginning of a storm. That summer it didn't rain at all. So that scene sat on the call sheet every day, weather permitting." "I had to keep a level of that scene prepared in my head the entire time -- which I'm just realizing in this moment probably formed a lot of my character choices," Wheaton continued. "In Gordie's life, his dad hates him. That hangs over Gordie in every thing he does and every aspect of his life. To have that in back of my head probably elevated my performance. When we finally came to shooting that scene, it had been built up so much in my head that I remember I started sobbing because I was both scared and relieved. I had so many powerful emotions leading up to that." "I didn't want to point a gun," Wheaton told TheWrap. "I remember Kiefer [Sutherland] saying, 'I need you to point that gun straight at my face.'" “I remember Kiefer [Sutherland, in an early scene in the movie] grabs River and throws him to the ground, holding a cigarette in his face. But Kiefer wasn’t really getting the front of that cigarette close, so River said, ‘Just put it right in there. I trust you … I want to use the fear of it,'” Wheaton recalled. “I remember thinking that was like a really mature and bold and risky thing to do as an actor." “It was on television a few months ago and I was with my children,” said O'Connell of the film. “My kids are seven now and about 20 minutes in, they said, ‘This is boring,’ and they walked away. I stayed and watched rest of it. I have to say, it was really emotional for me. When River disappears at the end, it’s really sad.” (Watch it here at the 1:05 mark). “I was away from my abusive mother for the first time, and I was running around like a bird freed from the cage,” Feldman revealed. “I went to my first nightclub, got drunk for the first time, kissed a girl for the first time, shot a music video for the first time, with River, and even smoked weed for my first time, again with River." Wheaton also dispelled the long-running rumor that filmmakers put real leeches on the actors for one of the film's most memorable scenes: "For the closeups, they were really well made appliances." "On the 4th of July when we were filming we got a carload of fireworks," remembered O'Connell. "I grew up in New York City where you can maybe get a few handfuls illegally in Chinatown. But in Oregon [where we filmed], they're legal. So we loaded up a car with them and went to River's house and lit those up all night long. I gotta say, it was the happiest moment of my adolescence." Wheaton discussed the time he hacked a pinball machine at the hotel where he and his co-stars stayed while filming. "I was a giant nerd. I liked to take things apart. I remember I touched the pinball machine and it shocked me. I figured out that I could create a short between the coin door and the coin mechanism inside. So I just rigged up paper clips and foil that would make that short happen so we could play the game for free." "It really holds up," O'Connell said. "Rob Reiner [center] made one really good movie ... You also have to give major credit to Andy Scheinman, who was Rob's producing partner for many years. They made 'The Princess Bride,' 'A Few Good Men,' 'When Harry Met Sally,' and a ton of other great movies." "Rob Reiner [left, pictured with River Phoenix] was literally the fifth boy in 'Stand by Me,'" O'Connell recalled fondly. "I think 'Stand by Me' has endured for 30 years because it appeals across generations of viewers," Wheaton told TheWrap. "When I was a kid, it was a movie about friendship and adventure and forming relationships expected to last the rest of your life. As an adult it's still about those things. But then the world seems as vast and infinite as it also seems very small and uncomplicated. As you get older you see how different things really are. When you watch as a kid -- the film is about the moment of becoming an adult ... but you don't become adult, really, for about another 15 years."